ASTANA – For Rakhat-Bi Abdyssagin, a young composer and one of Kazakhstan’s 100 New Faces, the music in his mind flows directly to his pen, as he has written more than 100 classical compositions. Rakhat-Bi Abdyssagin. Photo credit: 100esim.el.kz. Born in Almaty to a family of non-musicians, Abdyssagin began composing at the tender age of 12. A graduate of Kazakh National Conservatory and Accademia Musicale Santa Cecilia di Bergamo, his works have been performed by soloists, chamber ensembles and symphony orchestras in Asia, Europe and the United States. International premieres of his compositions have been held in Alicante, Ankara, Bergamo, Berlin, London, Moscow, Paris, Prague, Seoul and Vienna. The title of “the youngest” often accompanies Abdyssagin’s creative achievements. 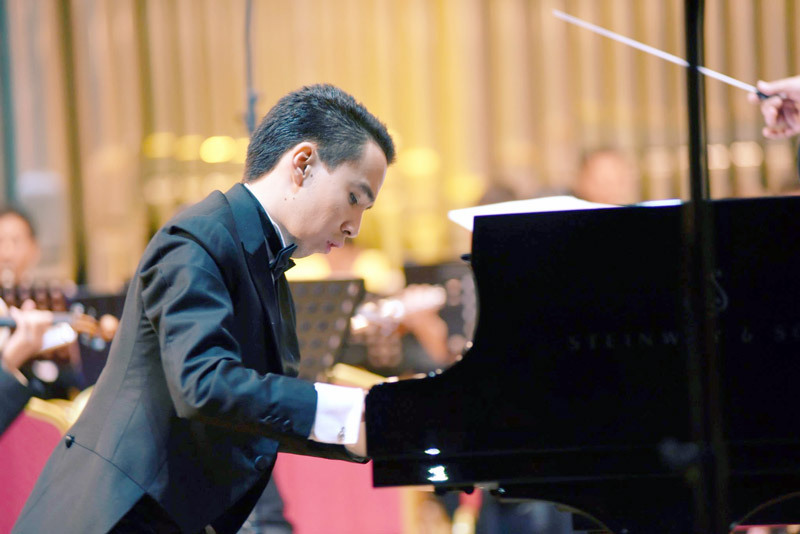 He is the youngest member of the International Ensemble and Composers Academy for Contemporary Music and the youngest laureate of the Daryn state award. He also received the International Piano Festival’s Grand Prix in Prague at just 11. Five years later, Abdyssagin penned “The Kazakh Rhapsody” to express his love for his homeland. At 17, he was the only artist to have been awarded the Commonwealth of Independent States’ (CIS) Interparliamentary Assembly badge of honour “For Services in the Development of Culture and Arts.” He was also the first musician to present Kazakhstan to an international audience at the Tchaikovsky International Youth Festival. Abdyssagin is also the only Kazakh composer whose creations may be found in the Southern Illinois University Discography Music for Piano and Orchestra, which collects masterpieces from Johann Sebastian Bach, Joseph Haydn and Wolfgang Amadeus Mozart, in addition to contemporary artists. He often opts for pieces from the Baroque, Classical and Romantic periods in his solo piano performances. Abdyssagin recently performed his composition “Will to Live” with a Russian symphony orchestra at the Georgievsky Hall of Russia’s Grand Kremlin Palace. He also represented Kazakhstan in his performance of Frederic Chopin’s “Nocturne in C Sharp Minor No. 20” and his own composition “The Lament of a Migrating Bird,” based on Chingiz Aitmatov’s story, at a June 27 gala concert at Beijing’s National Centre for the Performing Arts. “Nowadays, our country has set all the conditions for the development of our youth. As the young generation, we must effectively realise our potential, given that we live in better times. 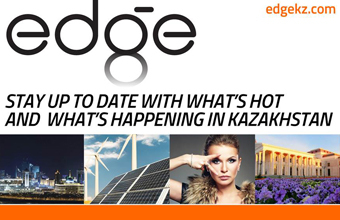 To bring the composing school of Kazakhstan to the world arena and make it a highly ranked and respected one is a worthy task of ours,” he added.